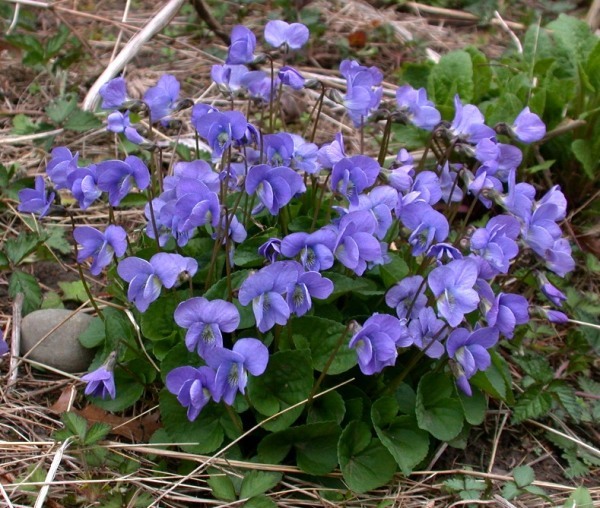 Among the stemless blue violets there are several ‘cleft’ violets, so named for their variously lobed leaves. The number of species is not very well understood at this time. 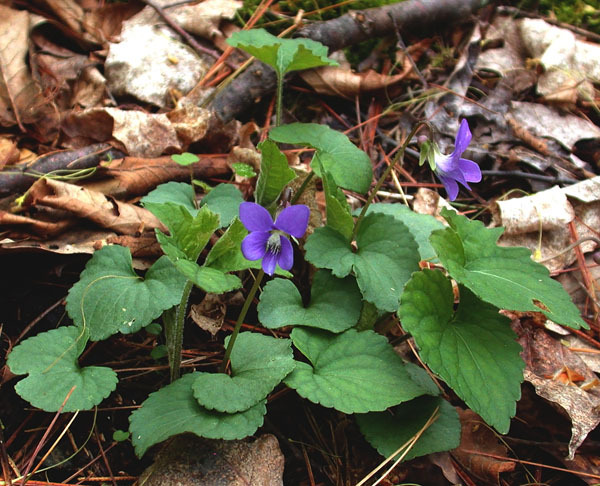 I recently observed one of these cleft violets near Albany in limestone woods. It is treated as the Viola subsinuata species complex by some or split into two separate species by others, V. palmata and V. subsinuata. Supposedly V. palmata makes uncleft leaves early in the spring followed by cleft leaves later (i.e. it is heterophyllous), while V. subsinuata only produces cleft leaves (i.e. it is homophyllous). According to this latter definition the plant in this picture would be V. palmata, however I was given a plant from near Ithaca that in my garden is homophyllous but has produced heterophyllous leaves in another person’s garden this year. 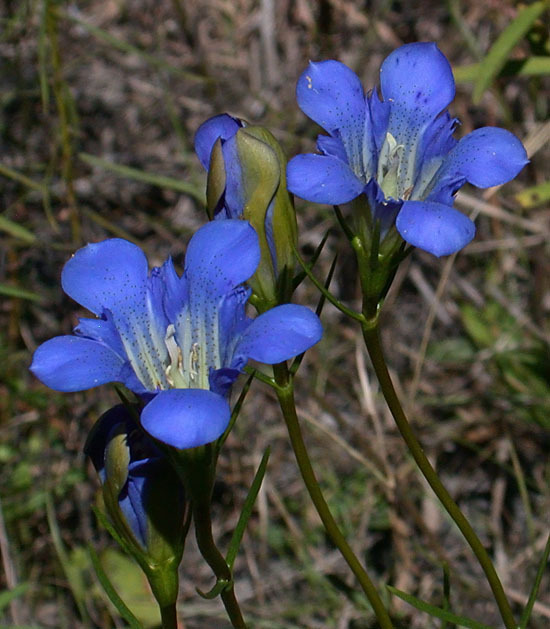 Both have been called early blue violet, although they don’t flower particularly early relative to the common stemless blue violet V. sororia. 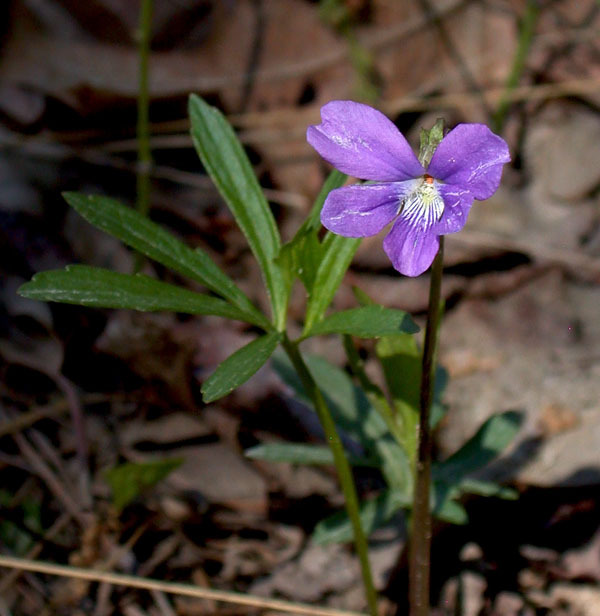 A perhaps more well-defined species is V. brittoniana (Coast Violet) which has deeply cleft leaves and is only known from near the Atlantic Coast. This plant was photographed growing on a sandy roadside in southern NJ a couple days ago. 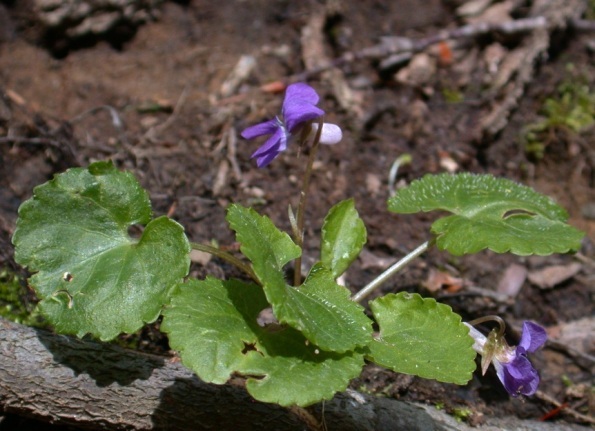 Violets are blooming and with the sudden surge of warm weather in the northeast there is considerable overlap in bloom time for many species. In the last two days I’ve observed flowering of V. blanda, V. pubescens, V. rotundifolia, V. rostrata, V. sororia, V. striata, V. sagittata, and V. selkirkii. I photographed the latter species for the first time this year. 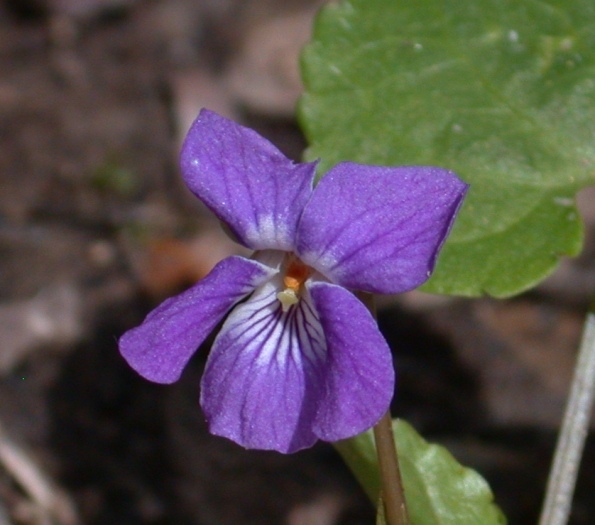 Flowers of Selkirk’s Violet (Viola selkirkii) have beardless petals. 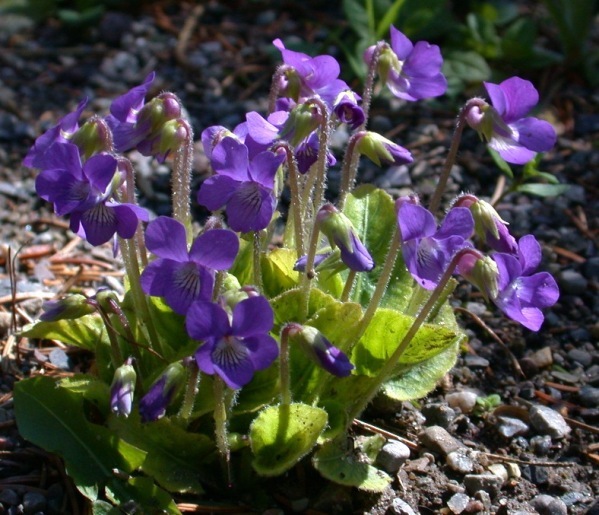 Leaves and flowers of Selkirk’s Violet all arise from the rhizome, i.e. there are no leafy stems. 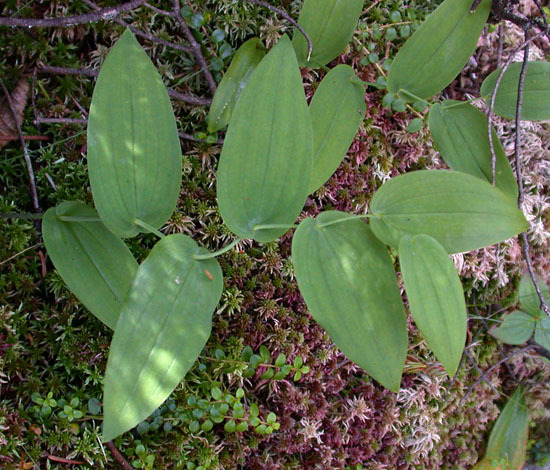 Leaves are ovate and sparsely hairy above. 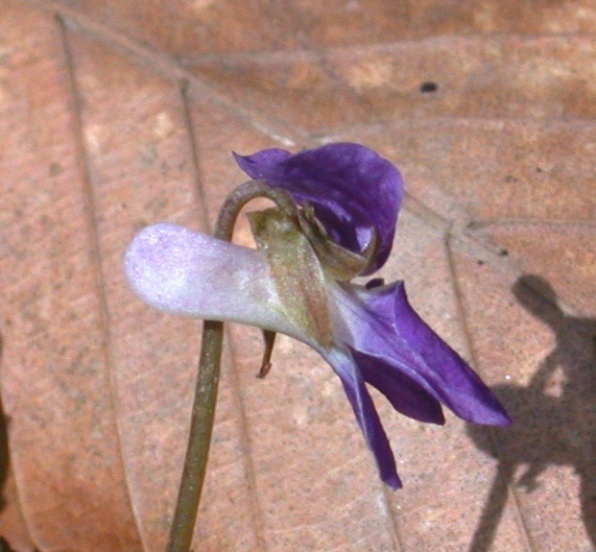 The spur of the lower petal is elongate and somewhat expanded, giving this species the alternate common name of Great-spurred Violet. Arrow-leaved Violet (Viola sagittata var. sagittata) in my garden. 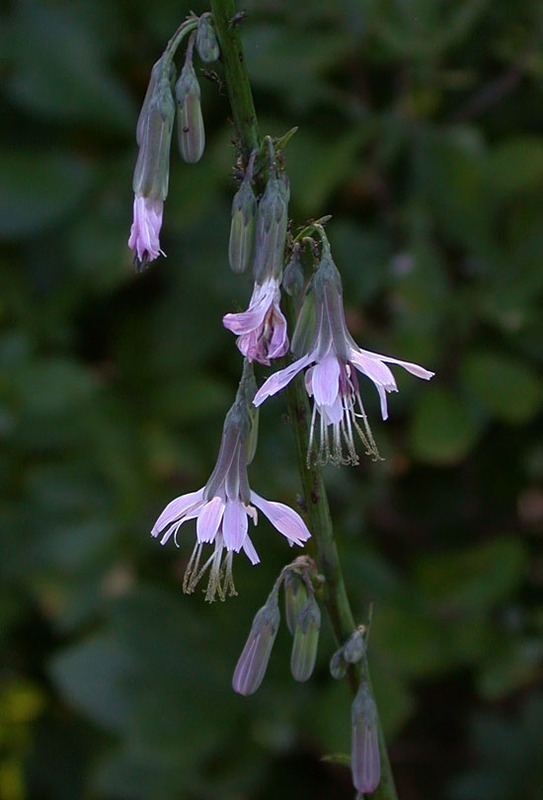 It usually does not have so many flowers and notice the leaves are slightly chlorotic. I suspect this might have something to do with the gravel substrate it is in, which is slightly alkaline. The Common Blue Violet (Viola sororia) can also be quite floriferous, especially when grown in full sun without competition. 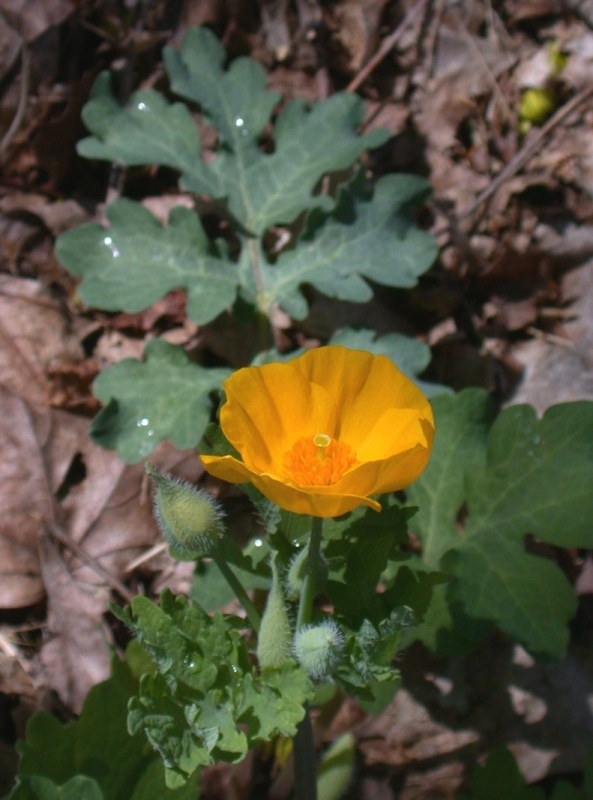 Not a violet but Celandine Poppy (Stylophorum diphyllum) is blooming now as well. It naturally occurs in a rather restricted region from Ohio and West Virginia west to Missouri and Arkansas. 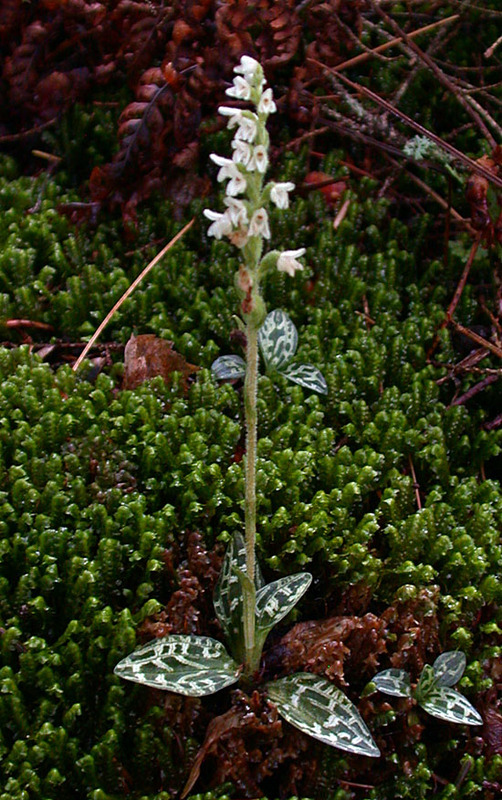 Great Plains Ladies-tresses (Spiranthes magnicamporum) was first identified in New York at an alvar preserve in Jefferson County by Dan Brunton in 2014 (see Winter 2015 NY Flora Association Newsletter). Not long after another distinct population was located within the same preserve in Jefferson County and two other populations in St. Lawrence County. 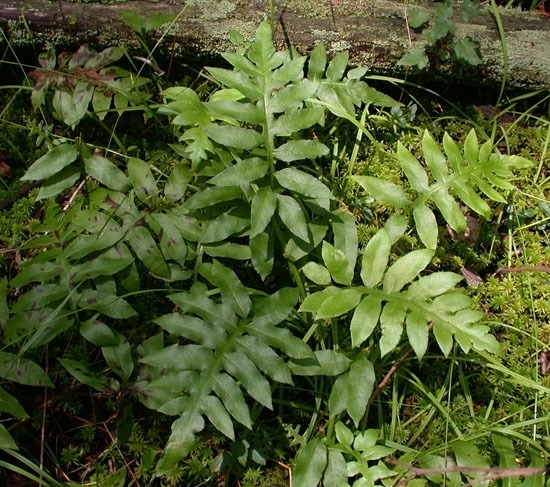 It is likely that this species had been overlooked in the past because of its similarity to S. cernua, though it is also likely restricted to a few locations in northern NY. With this in mind I asked Don Leopold if he had seen this species at another large privately owned alvar in Jefferson County we had visited back in 2011. He soon sent me a picture taken several years ago of what he thought was S. cernua at the time. Sure enough it appeared to be S. magnicamporum. We revisited the site on September 25th of this year and found what may be the largest population of this species in NY. Plants tend to be scattered, though in one location there were about 50 plants with some close enough together to get several in one shot. 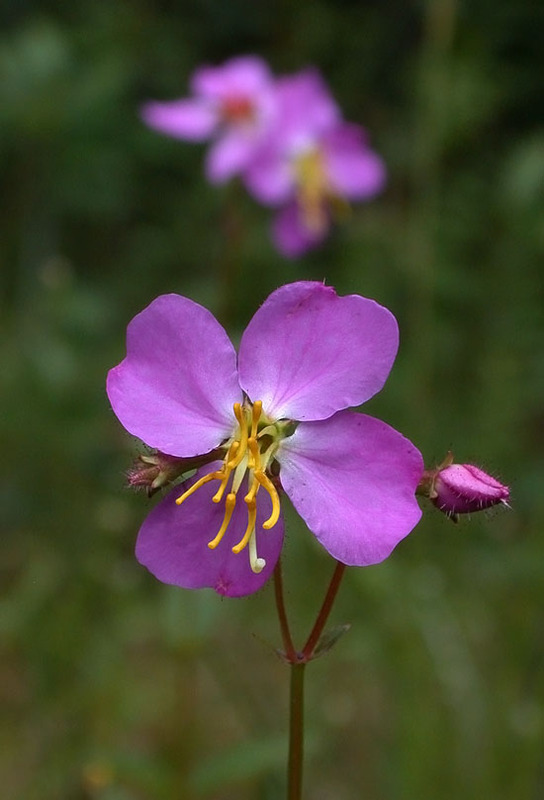 The flowers of this species tend to be a bit longer than those of S. cernua and have a bit of yellow in the throat, with lateral sepals that spread over the top of the flower. 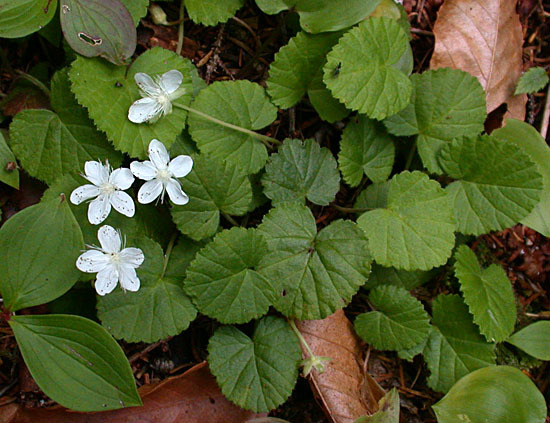 The leaves are typically absent at the time of flowering. 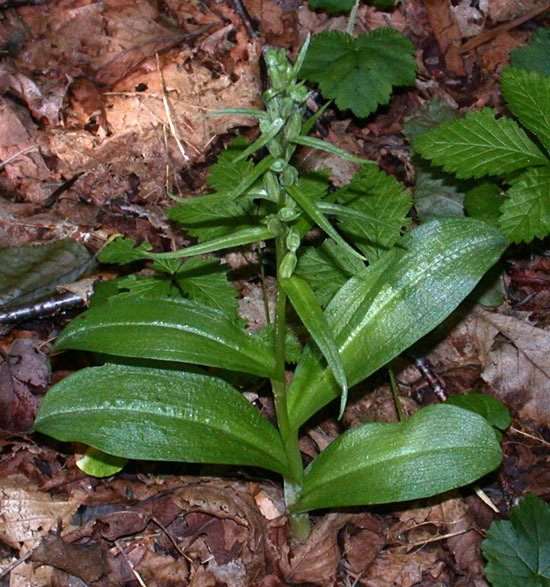 The plants in these photographs have characteristics of typical S. magnicamporum. We found a few plants that had started flowering earlier and had characteristics that suggested possible hybridization with S. cernua. Examination of seeds collected from some of these plants seems to support gene flow from S. cernua, as some capsules contained a mix of monoembryonic and polyembryonic seeds. 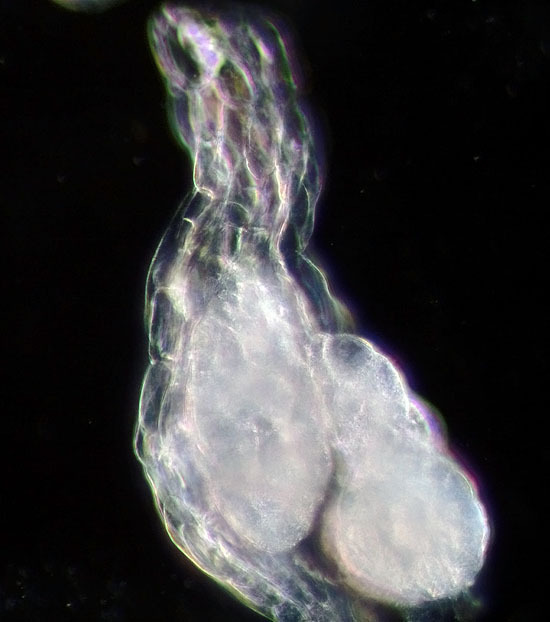 The above seed appears to be monoembryonic. 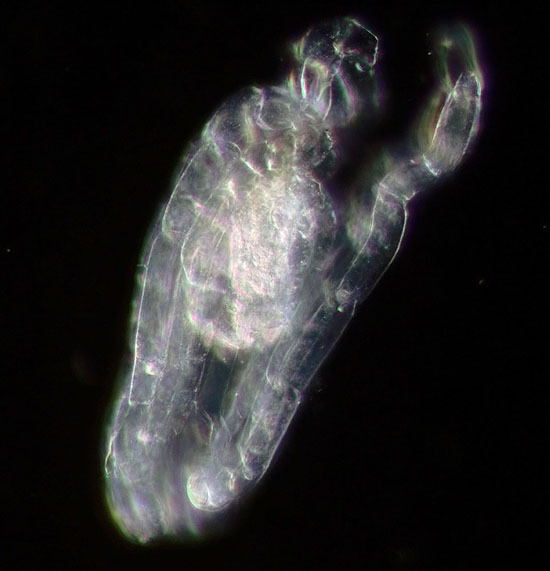 Below is a polyembryonic seed from the same sample. Another common species at the site was fluxweed or false pennyroyal (Trichostema brachiatum). Visited NJ again the day after the autumnal equinox. 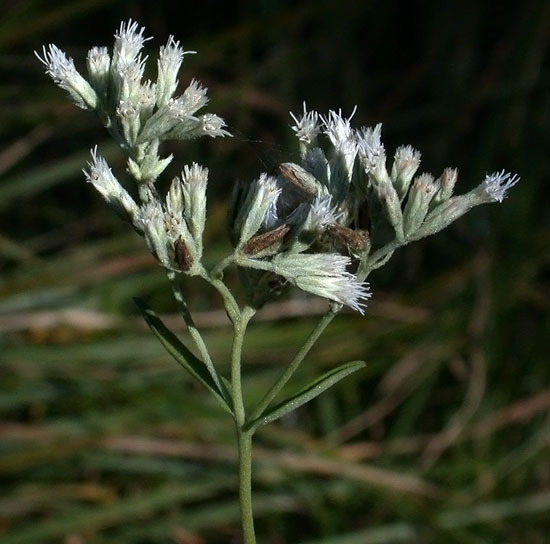 There were a number of thoroughworts (Eupatorium spp.). I believe this one is white-bracted thoroughwort (Eupatorium leocolepsis). 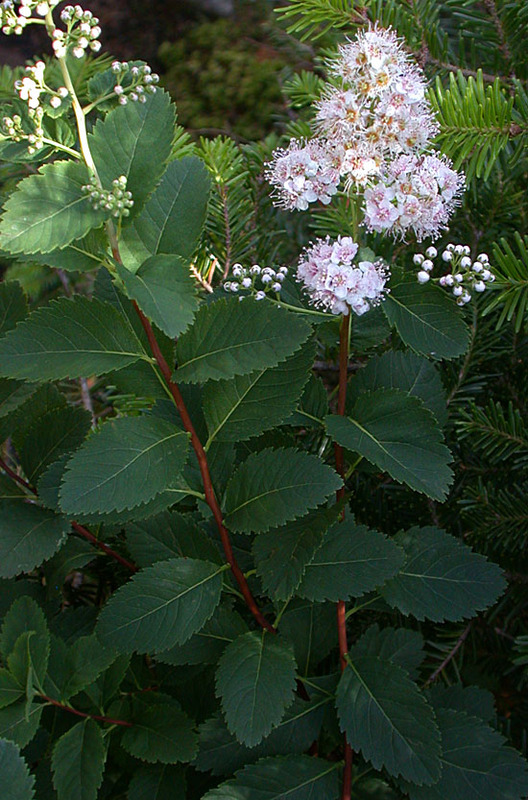 The involucral bracts are acuminate and puberulent. 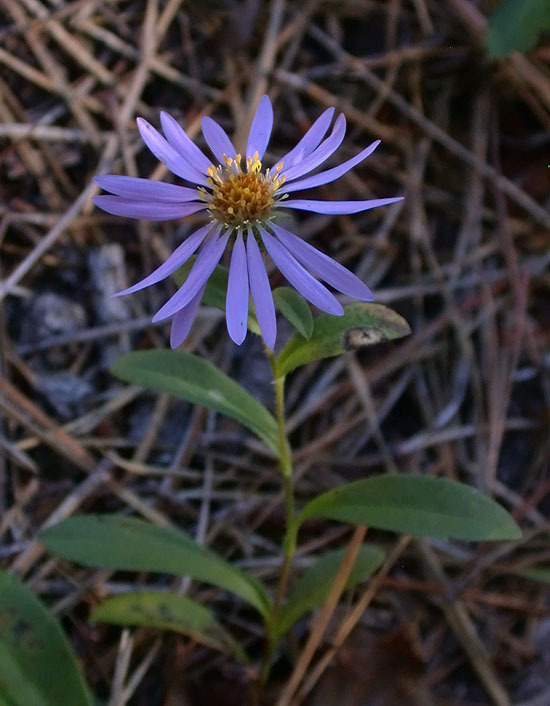 Asters are another group well-represented in the pinelands. 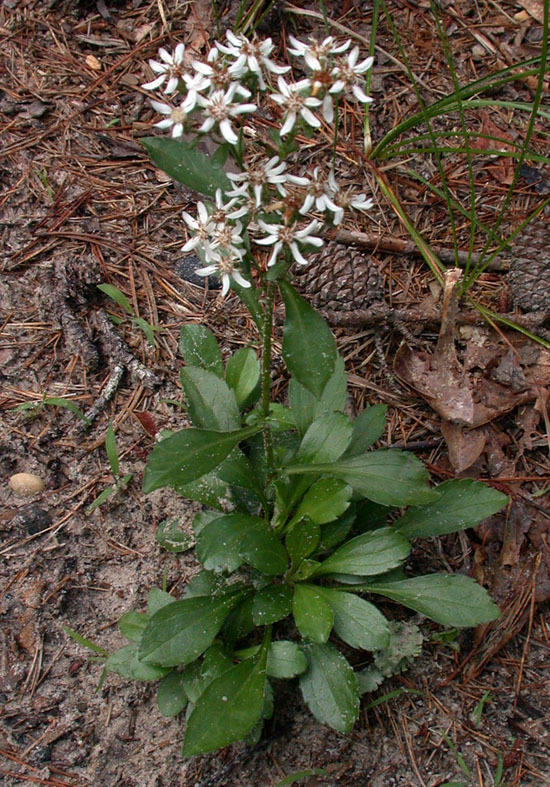 This is showy aster (Eurybia spectalibis). Not visible in this image are the phyllaries which are squarrose in the outer series. 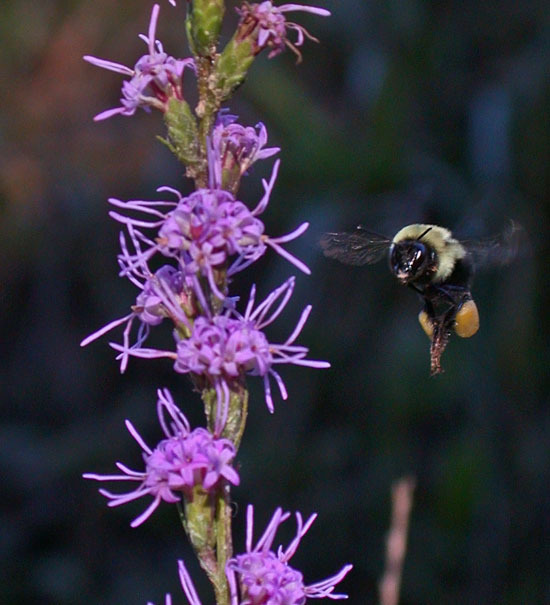 Grass-leaved or shaggy blazing star (Liatris pilosa) reaches its northern limit in NJ. This bumblebee was diligently examining every flower for nectar. The highlight of the trip were two species that are named for the season in which they bloom. 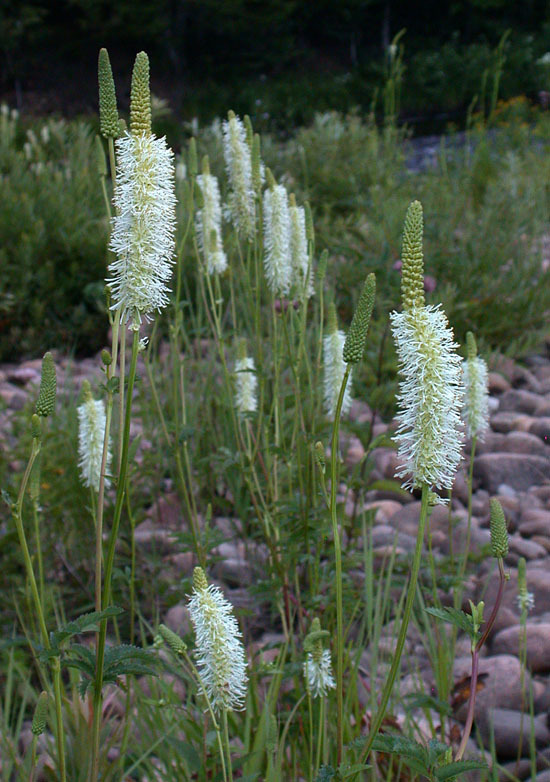 Slender rattlesnakeroot (Prenanthes autumnalis) is one of the more attractive members of the genus. 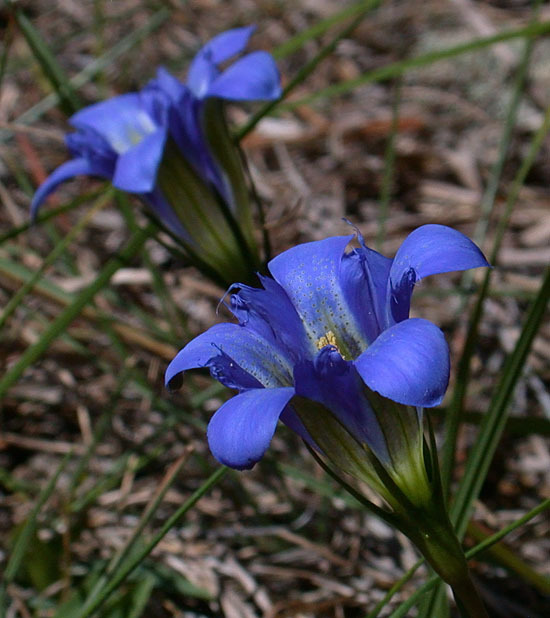 Pine barren gentian (Gentiana autumnalis) is another Atlantic coastal species that reaches the northern limit of its range in NJ. I recall the flowers having a bluish hue, though they photographed purple. I’ve adjusted the color slightly to match my recollection. Most of the flowers were open, though a few were still in bud. I noticed that plants in the shade were nearly closed, so they might need sunlight to get them to open up. Took a trip to northern NY in an attempt to find flax-leaved aster (Ionactis linariifolius) where it was collected nearly 100 years prior. Didn’t take long to find it. 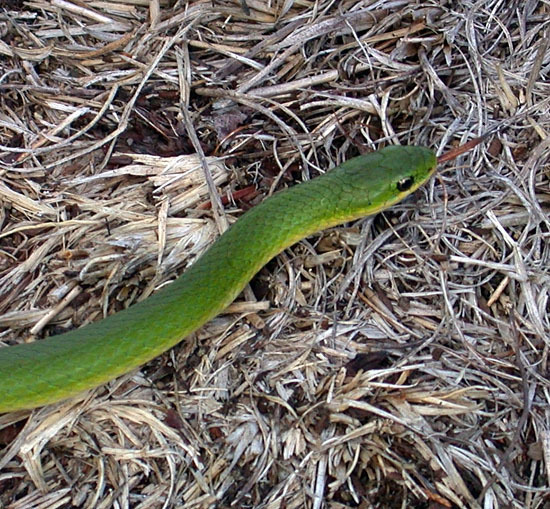 Also found a green snake (Opheodrys vernalis) on the trail. In the sandy soil on the edge of pine woods there was some blue ground-cedar (Diphasiastrum tristachyum). 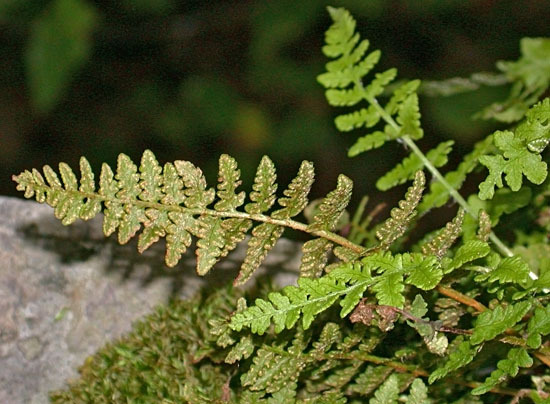 Today I finally found a fern that I’ve been trying to find for several years. 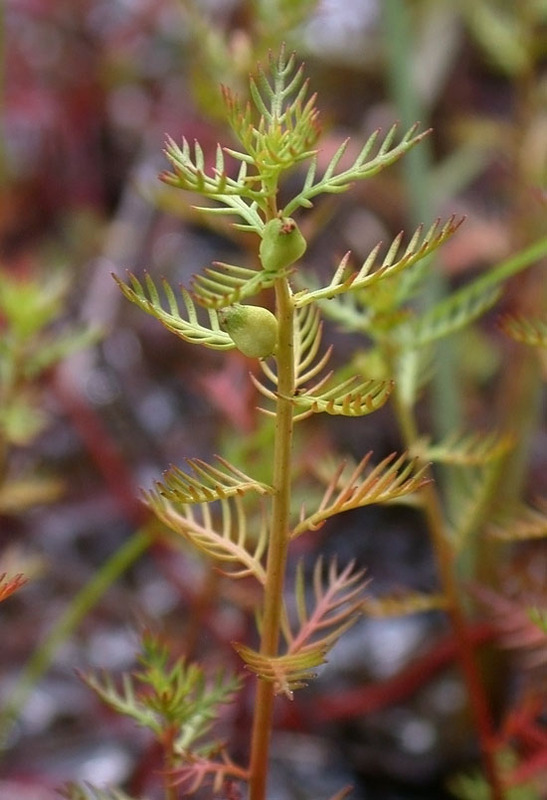 While not rare in NY, rusty woodsia (Woodsia ilvensis) can be difficult to find because it prefers to grow in crevices in rocks. 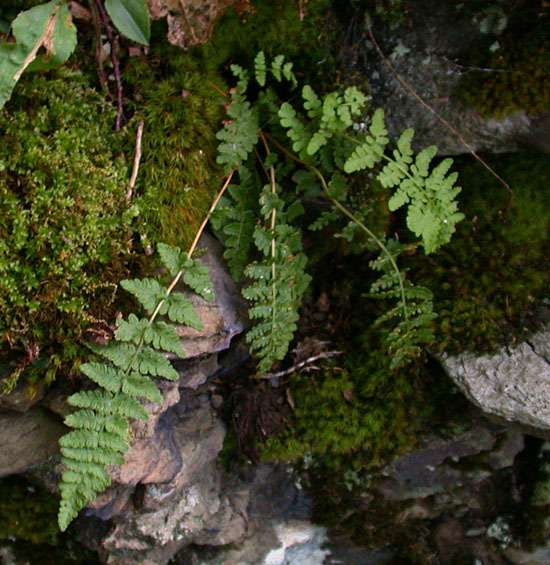 In central NY suitable habitat for this fern is restricted to rocky cliffs surrounding mountain summits. Even after finding the plants, getting close enough to photograph them proved to be a challenge. Fortunately there were a few plants that were accessible with a little careful maneuvering. The plants are rather small. 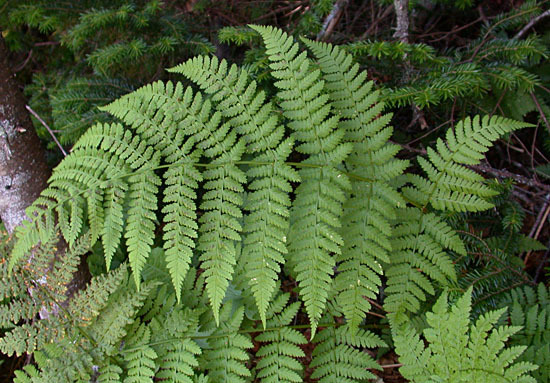 The largest fronds were not more than 5 or 6 inches in length. 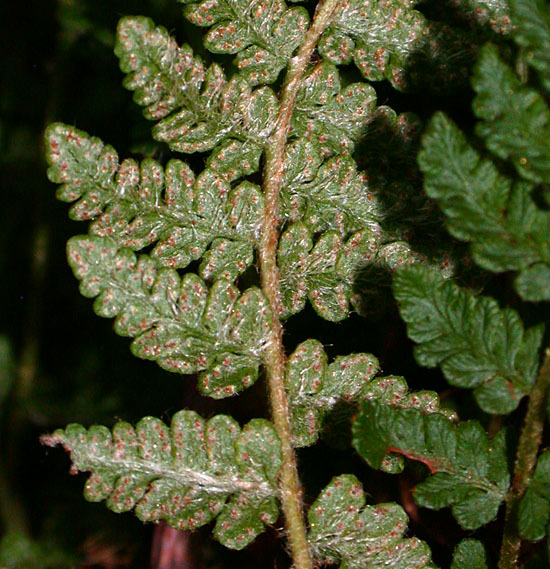 The common name comes from the appearance of the fertile fronds which are reddish-brown on the underside. The rusty appearance comes from the color of the sporangia and a mixture of scales and long hairs that turn rusty-brown at maturity. Visited the Adirondacks for three days earlier in the week. On the drive up I stopped near Hinckley Reservoir and found Canada burnet (Sanguisorba canadensis) in full bloom. Near Raquette Lake I found dwarf rattlesnake plantain (Goodyera repens) in several places. This one was growing in a clump of the leafy liverwort Bazzania trilobata. Others were found growing in Sphagnum. Also found one checkered rattlesnake plantain (Goodyera tesselata). This species is a little bigger than G. repens. 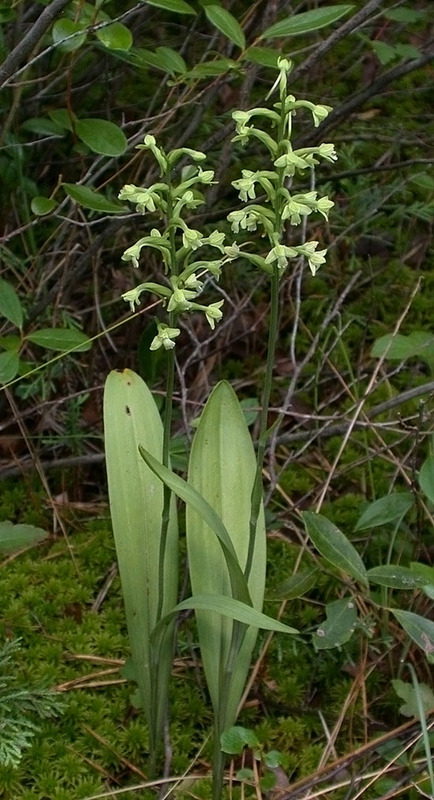 On a dry slope found long-bracted orchid (Coeloglossum viride var. virescens). The petals had withered but the long floral bracts were still evident. 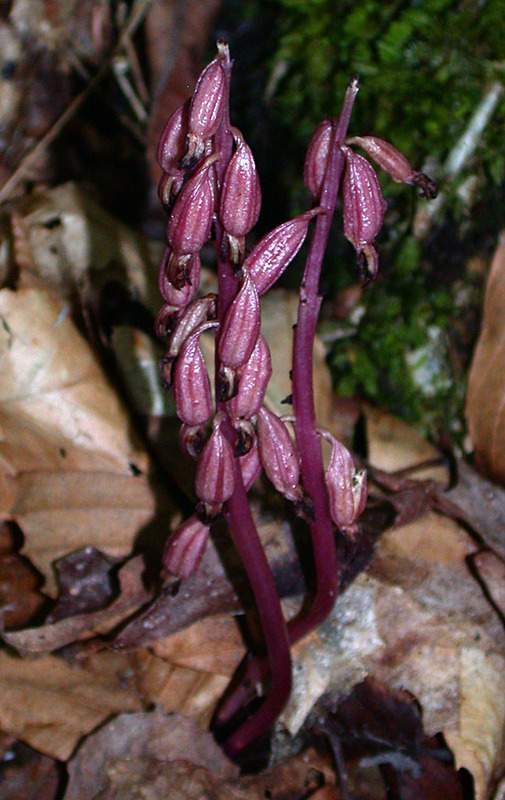 Some capsules of western spotted coralroot (Corallorhiza maculata var. occidentalis) were found nearby. This variety blooms earlier than var. maculata and usually has more reddish capsules, though some plants with yellow capsules were present. These were likely a pale form of var. occidentalis. 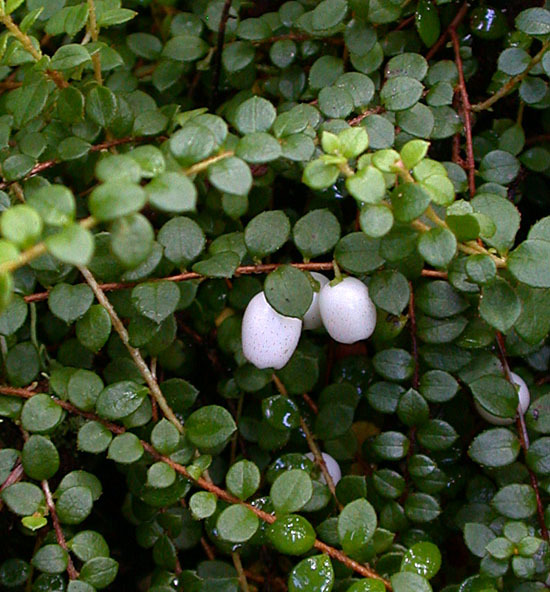 This was a good year to see creeping snowberry (Gaultheria hispidula) in fruit. The fruits taste like wintergreen. Also found some nice flowering clumps of false violet (Rubus dalibarda). 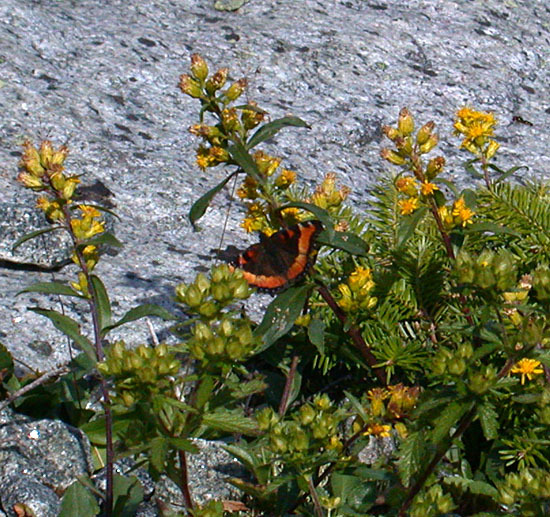 On the last day I made a trip to Whiteface Mountain to see alpine flora. Three-toothed cinquefoil (Sibbaldiopsis tridentata) is often done blooming at lower elevation this late in the summer but were just getting started in the alpine zone. 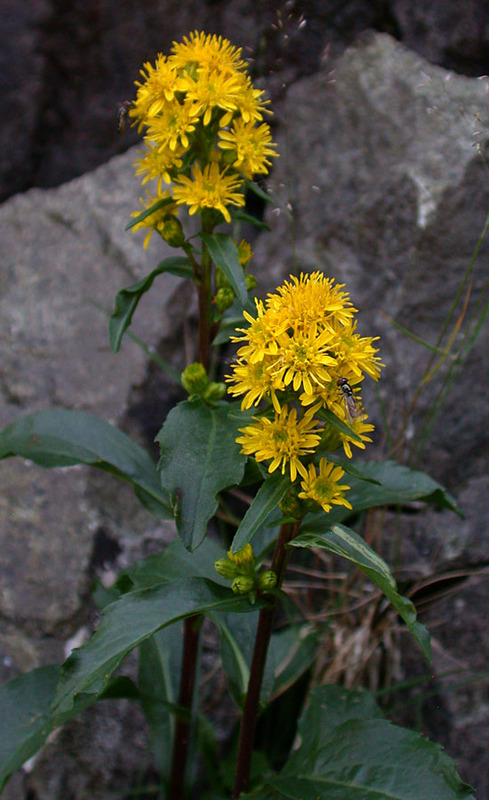 Alpine goldenrod (Solidago leiocarpa) was in full bloom on rocky outcrops. A Milbert’s tortoiseshell (Aglias milberti) was feeding on one of the plants. 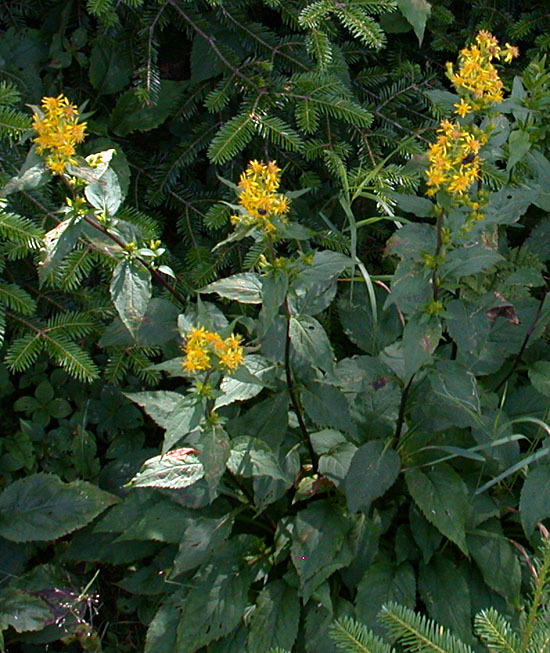 Large-leaved goldenrod (Solidago macrophylla) was abundant in areas with some shade and could also be found along the road further down the mountain. 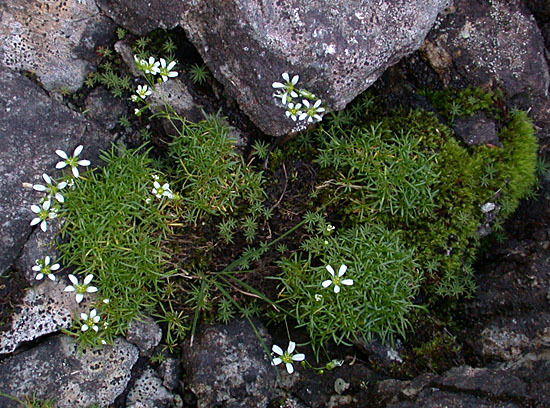 Another species found growing on rock outcrops was mountain stitchwort (Minuartia groenlandica). 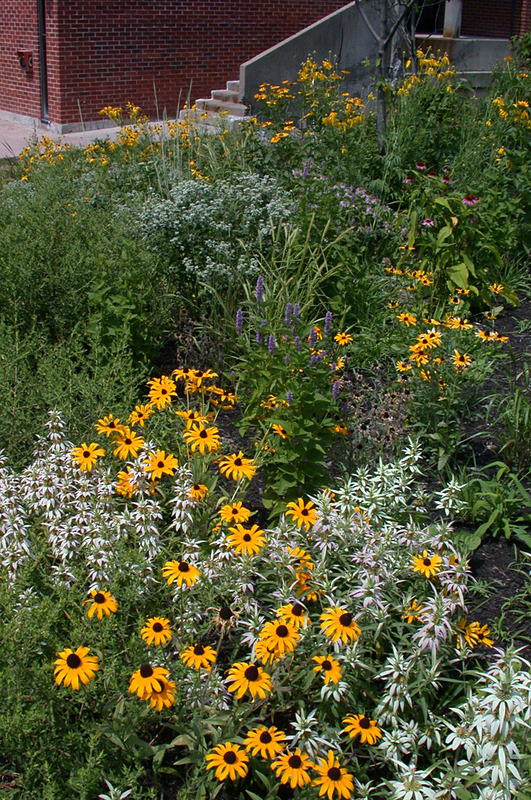 Plants in the sun were done blooming, possibly due to drought, while those in the shade were still going strong. This is northern meadowsweet (Spiraea alba var. latifolia). Alpine plants have been called var. septentrionalis. 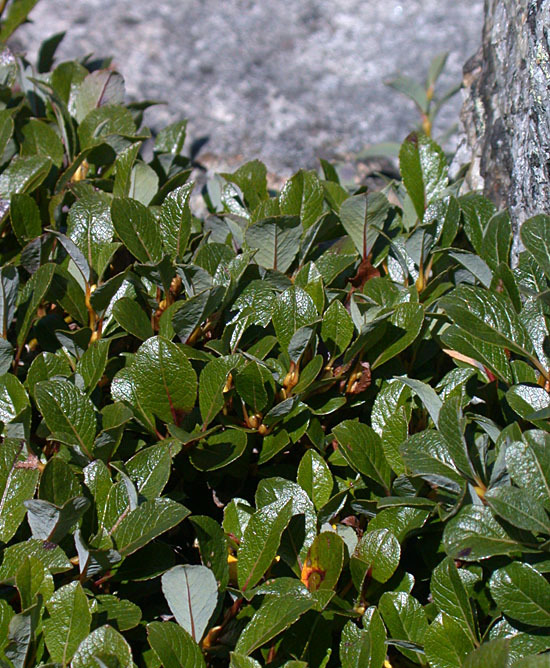 Several dwarf shrubs are found in the alpine zone including bearberry willow (Salix uva-ursi). 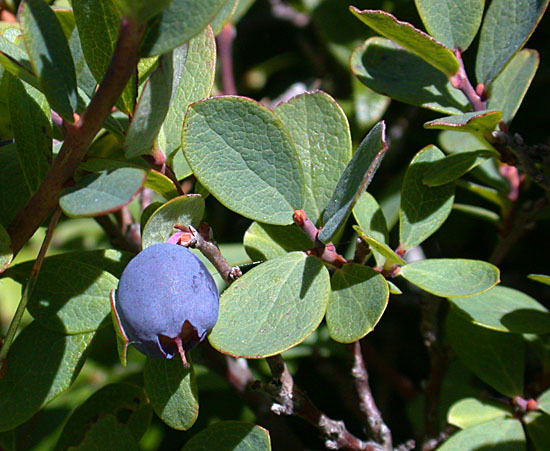 One of the dominant shrubs is Alpine bilberry (Vaccinium uliginosum). 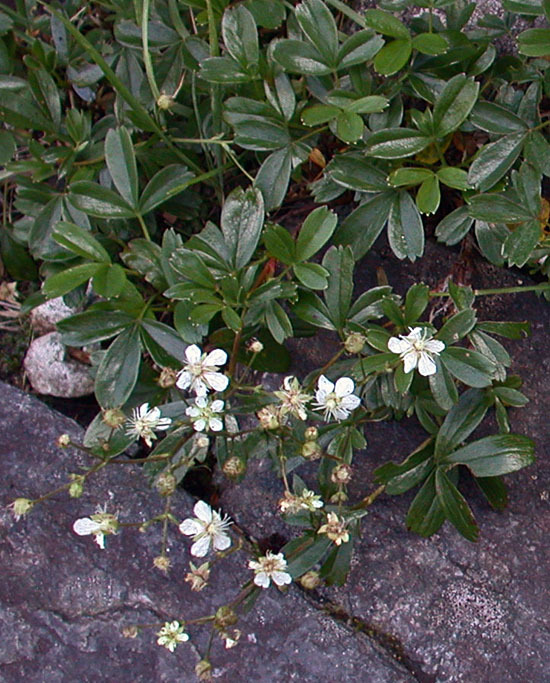 The blue-green leaves and 4-merous flowers distinguish this species from lowbush blueberries. 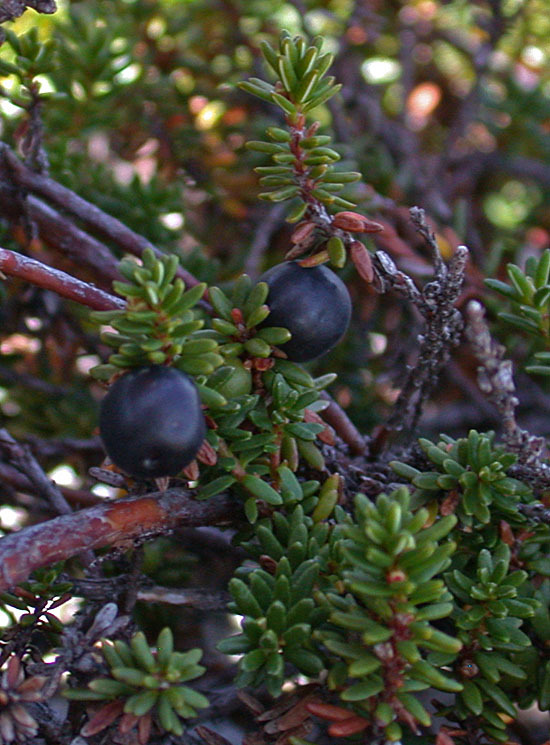 Black crowberry (Empetrum nigrum) is a rare species restricted to rock outcrops in the alpine zone. 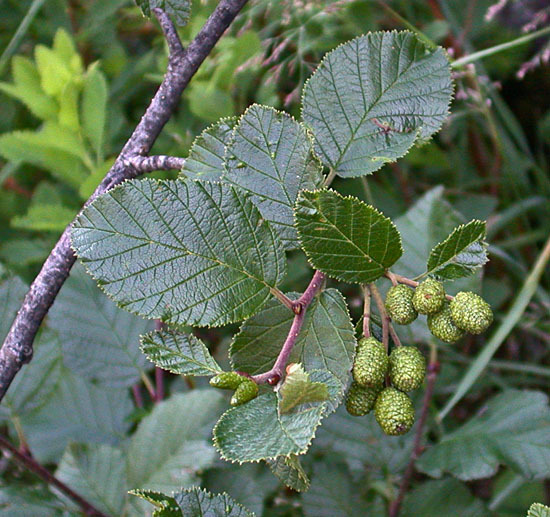 Mountain alder (Alnus viridis ssp. 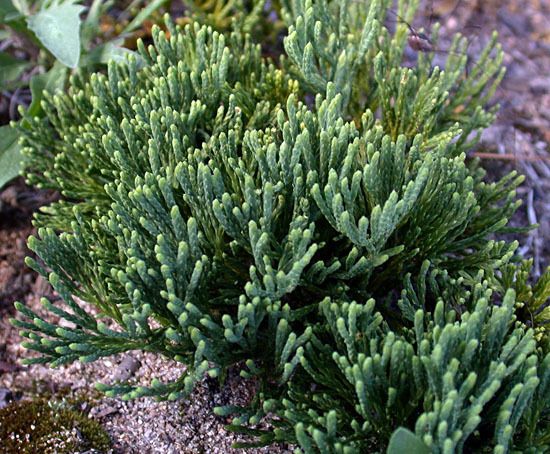 crispa) is another alpine shrub found here. 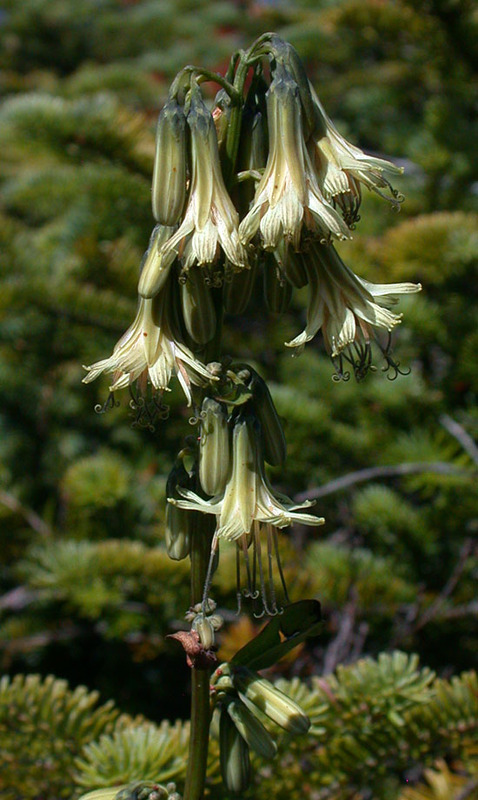 Alpine rattlesnakeroot (Prenanthes boottii) only occurs at the very top of the mountain growing around boulders. Most had already gone to seed though I was able to find a few open flowers. 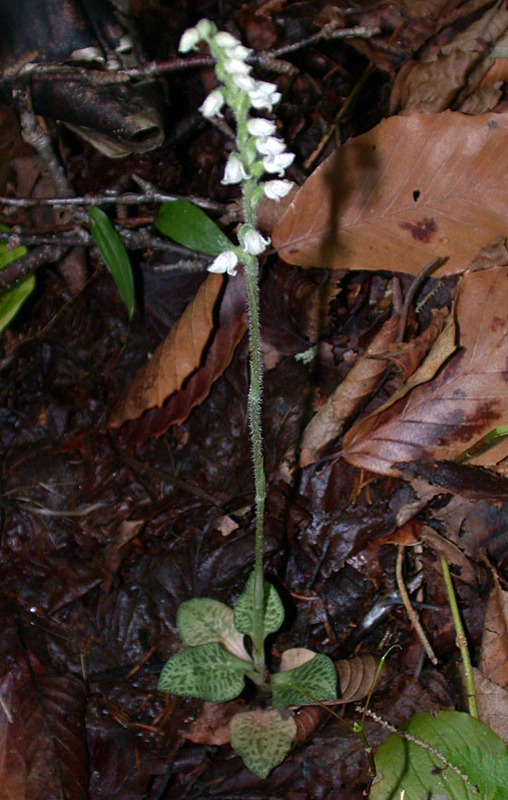 This plant is very rare and unfortunately some of the plants appeared to have been trampled by visitors. Three-leaved rattlesnakeroot (Prenanthes trifoliata) was also present here and a little further down the mountain. Alpine plants have been called P. nana. Descending the mountain one passes through an area of dwarfed and deformed trees known as krummholz. 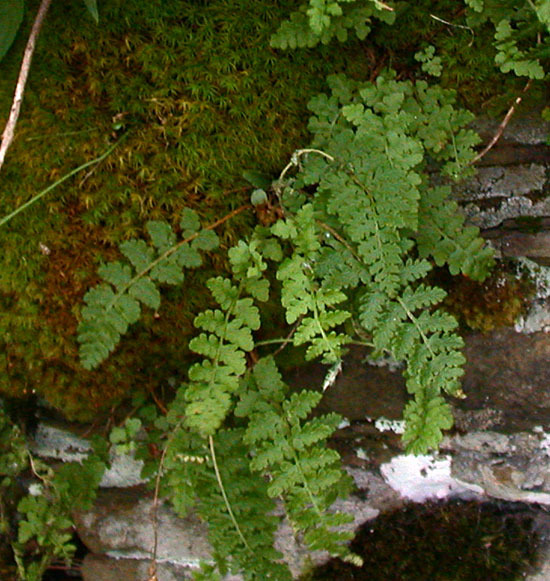 The common fern here is mountain woodfern (Dryopteris campyloptera). A few alpine clubmosses can also be found here. Appalachian firmoss (Huperzia appressa) is occasional here and in the partial shade provided by boulders in the open areas. 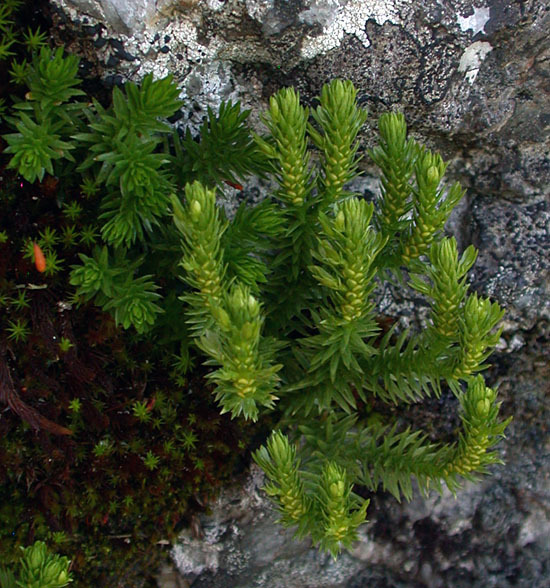 It resembles a diminutive shining clubmoss (Heuperzia lucidula) with the addition of gemmae (asexual propagules) produced near the apex of the stem. 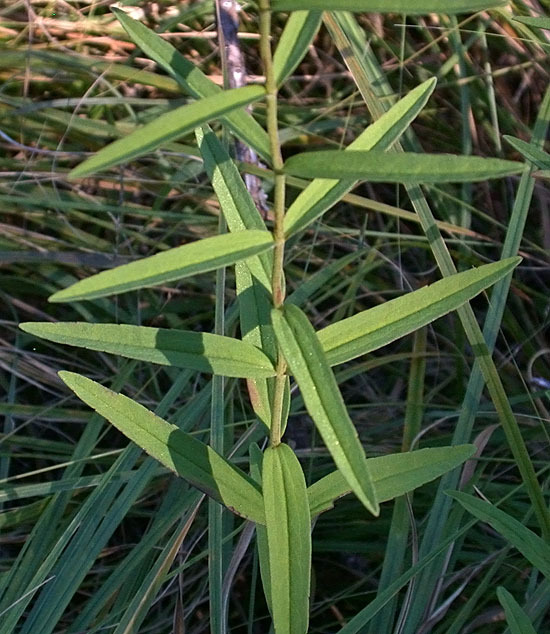 A few plants of clasping-leaved twisted-stalk were found in the shade of the krummholz. Apparently this species was found here for the first time just a few days earlier by a group on a New York Flora Association outing. 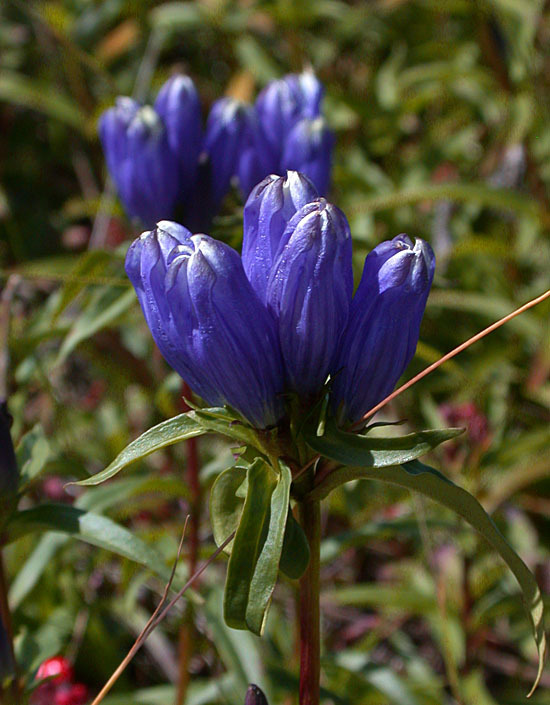 A species that was relatively abundant along the road leading up to the summit was narrow-leaved gentian (Gentiana linearis). This species was also found growing with the Canada burnet near Hinckley Reservoir. Visited the NJ pine barrens again over the weekend. Toothed whitetop aster (Sericocarpus asteroides) was in full bloom along one of the sand roads. 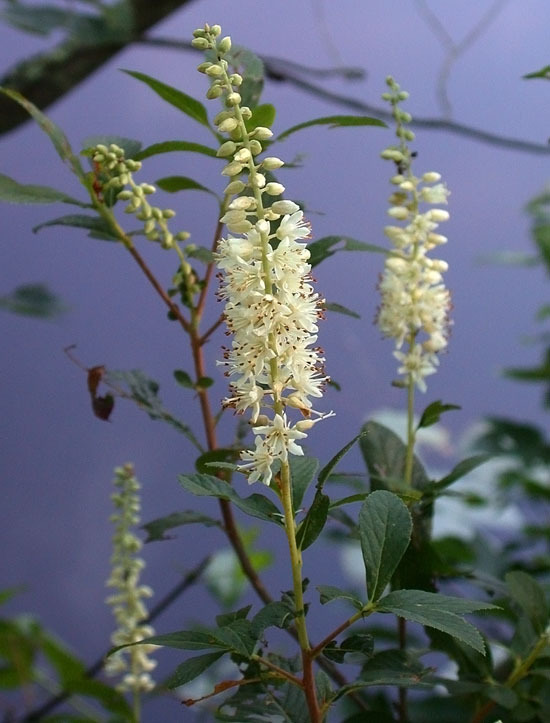 A short distance down the road we found a pond surrounded by sweet pepperbush (Clethra alnifolia). This is a common shrub in southern NJ and can be seen blooming now along roadsides. 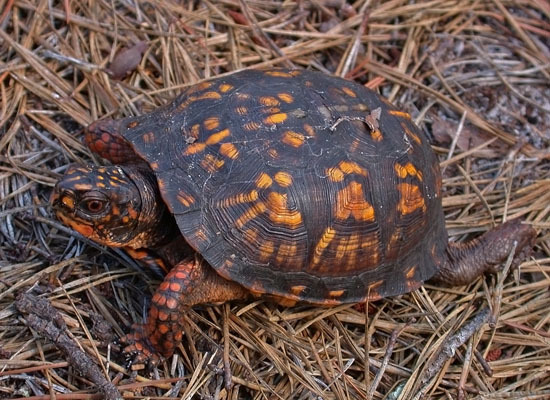 Once we got deeper into the pine barrens we found an eastern box turtle (Terrapene carolina carolina). Unfortunately these turtles have become less common because of poaching for the pet trade. We snapped a few photos and then moved on. We spent most of the time searching what are called savannas down there. These are fens that occur along many of the rivers that run through the pine barrens, and are open peatlands typically fed by groundwater. They are often bordered by atlantic white cedar swamps. 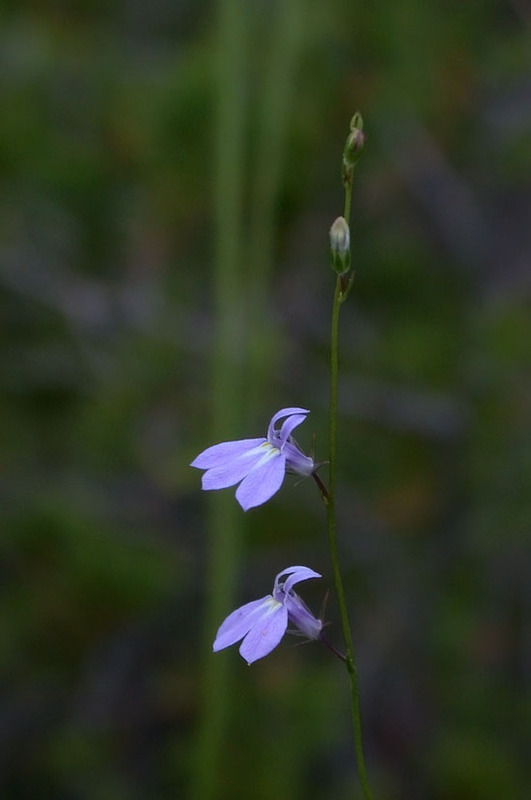 Nuttall’s lobelia (Lobelia nuttallii) can often be found where the swamp transitions into the savanna. 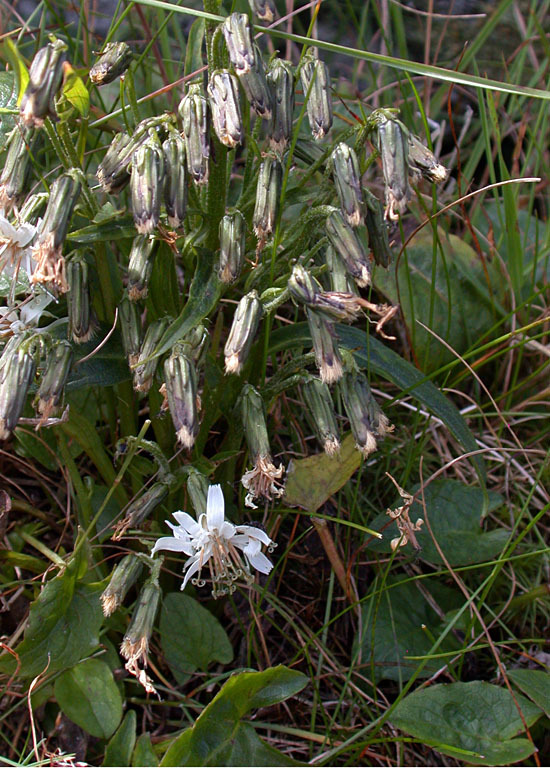 It has a very slender flowering stem. 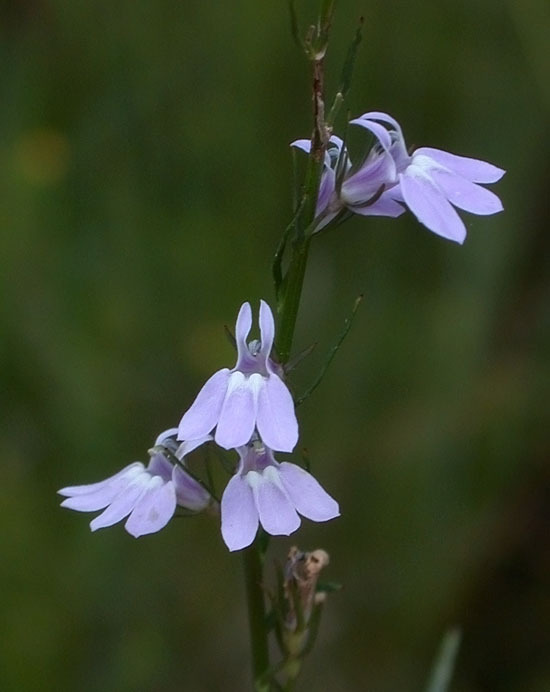 Canby’s lobelia (Lobelia canbyi) is occasionally found growing in the open savannas, though it is much less common. 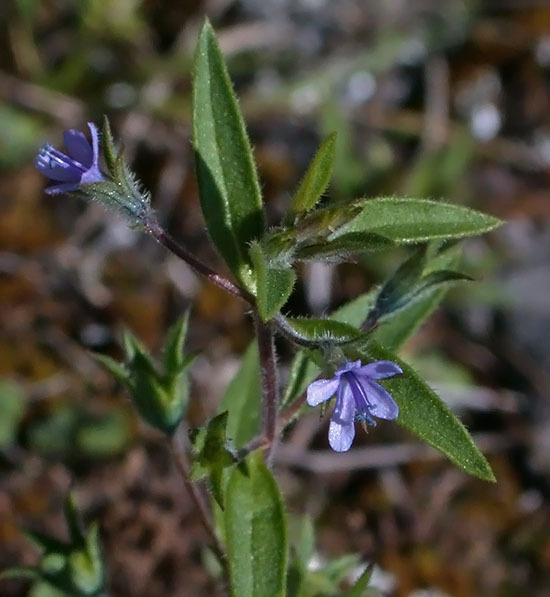 Like Nuttall’s lobelia it is quite slender but has a thicker flowering stem and a more upright growth habit. Thread-leaved sundew (Drosera filiformis) can also be found in the open savannas and was nearing the end of its flowering period. 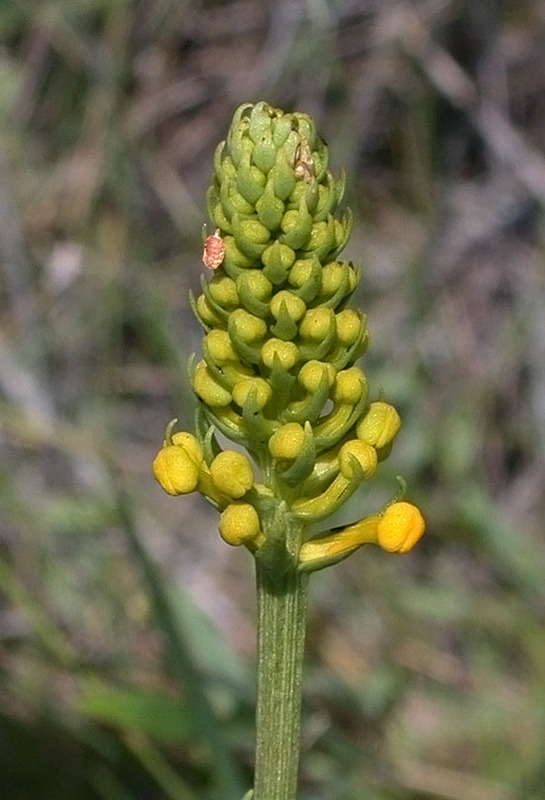 The ten-angled pipewort (Eriocaulon decangulare) is another familiar sight in the savannas. 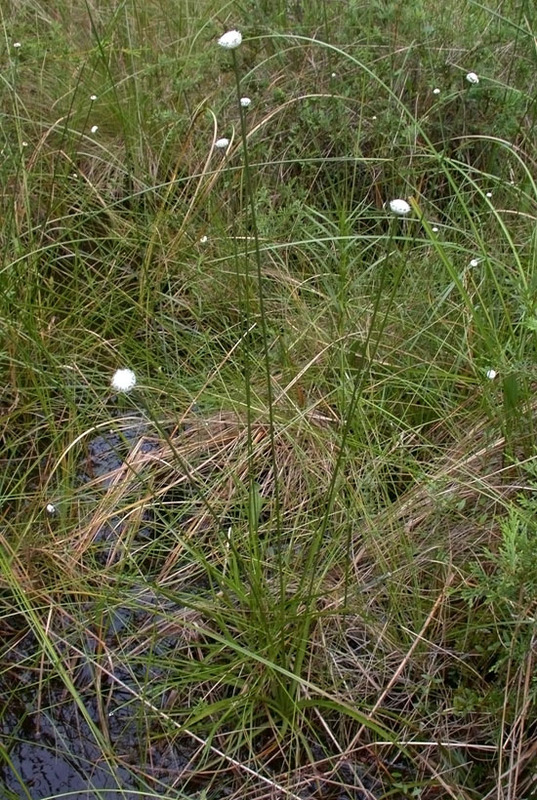 It often grows on higher ground than other pipewort species and has thicker leaves. 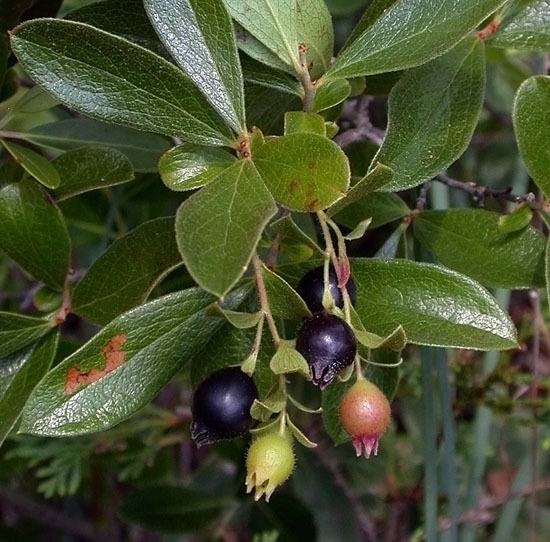 The last time I visited the bog huckleberry (Gaylussacia bigeloviana) was in flower. This time it was in fruit. Some species prefer to grow in the wetter parts of the savanna including in the shallow drainage channels. The comb-leaf mermaidweed (Proserpinaca pectinata) was in fruit. 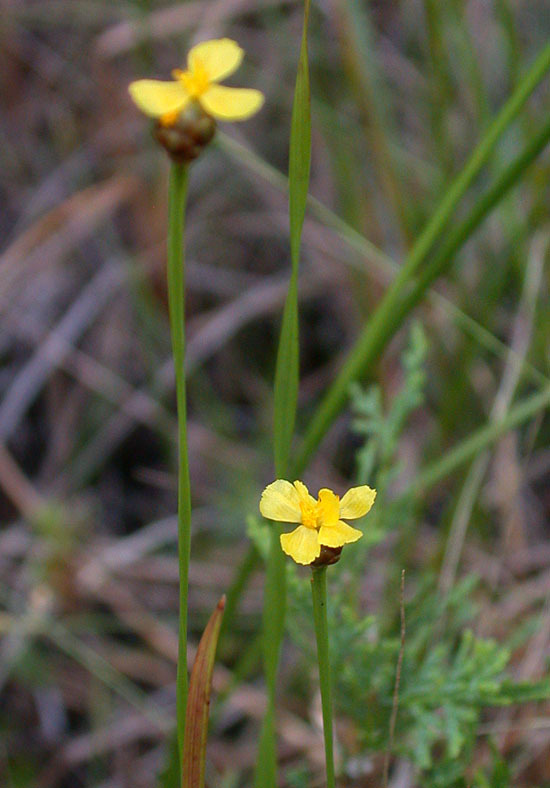 Several species of yellow-eyed grass (Xyris spp.) were blooming as well. Not sure which one this is, as they all tend to have similar flowers. This is one of the species that have twisted leaves. The savannas are often separated by white cedar swamps. As we moved from one savanna to the next we came across a small colony of netted chainfern (Woodwardia areolata) in one of the swamps. 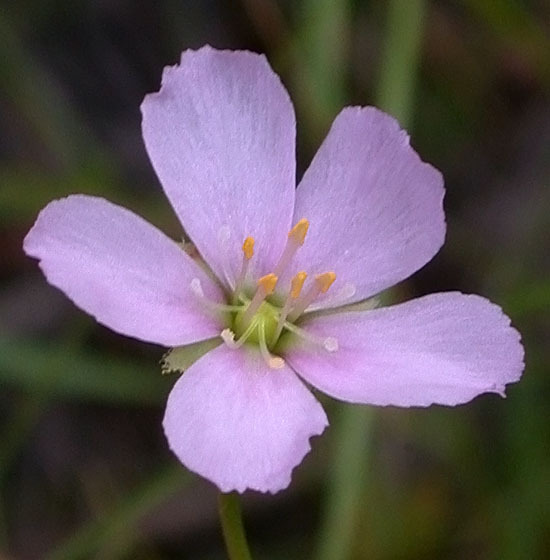 In the open parts of the swamps and along the edge of the savannas we found lots of Virginia meadow beauties (Rhexia virginica) in bloom. 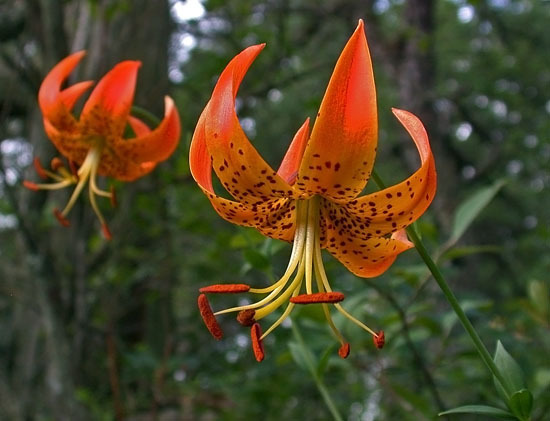 There were also a few Turk’s-cap lilies (Lilium superbum) flowering in some of the shrub thickets. 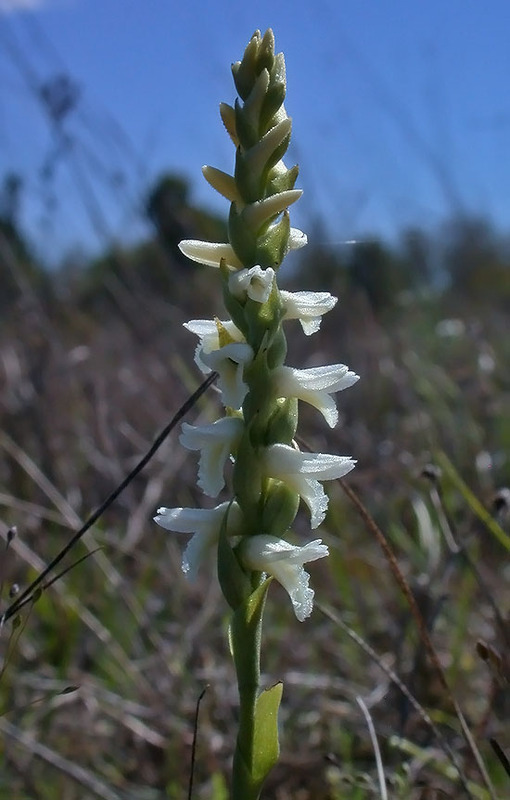 The thickets and swamps were also full of club-spur orchids (Platanthera clavellata). This pair of plants were about twice as large as the others. While we were photographing these we saw a hummingbird nectaring on white fringed orchids (Plantanthera blephariglottis). Unfortunately it was moving too fast for us to get a picture. 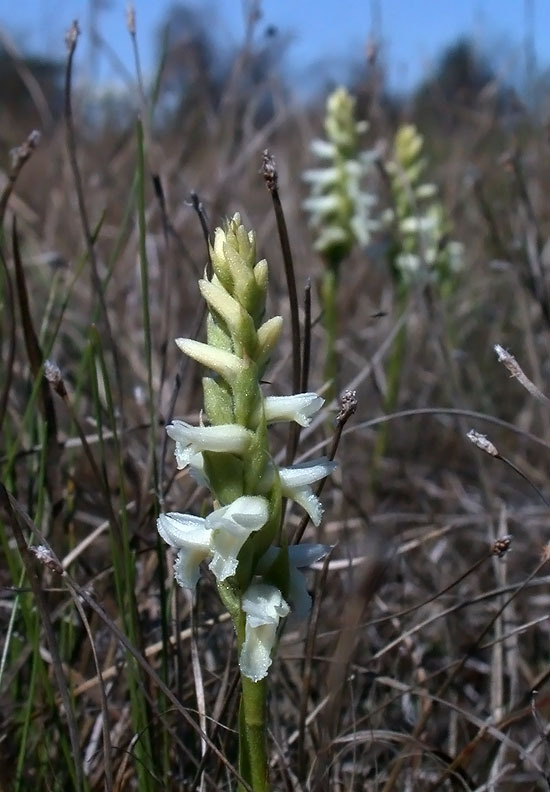 We also saw crested yellow orchids (Platanthera cristata) along the edge of one savanna. 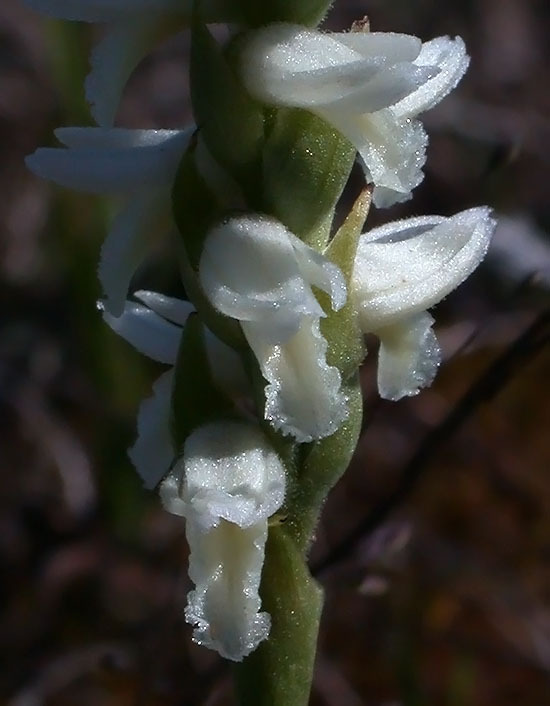 Yellow fringeless orchids (Platanthera integra) were still in bud. One of the larger plants may have flowered but unfortunately a deer had eaten the inflorescence. Maybe next year. One of the last plants we found was growing next to the river in the flood zone. 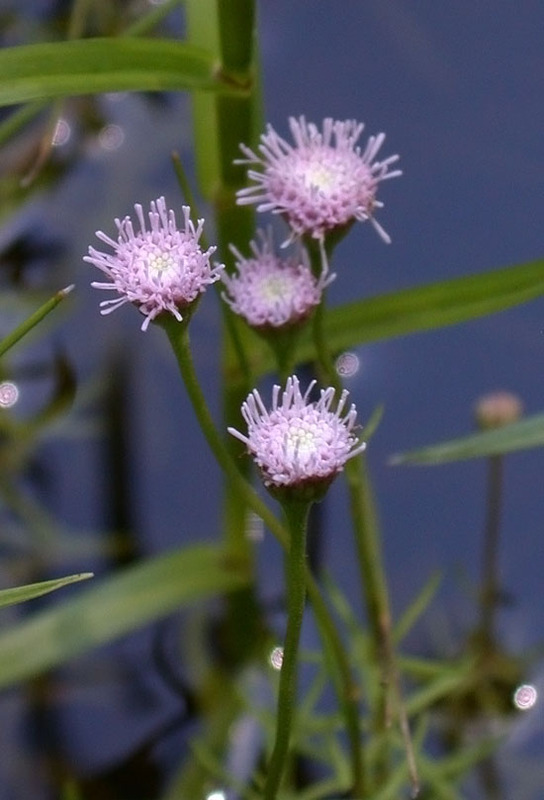 This is pink bogbutton (Sclerolepis uniflora). 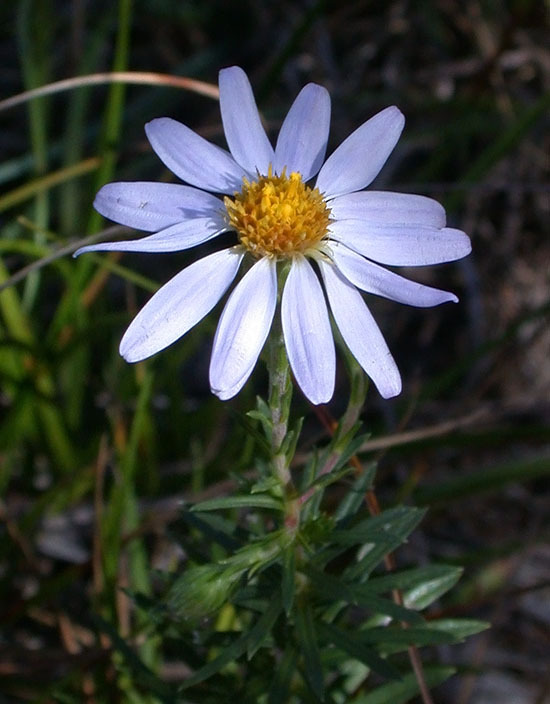 It is a member of the aster family (Asteraceae) that reaches the northern limit of its range here. Some pictures of a project that I’ve been working on at SUNY Cortland for about the last year and a half. 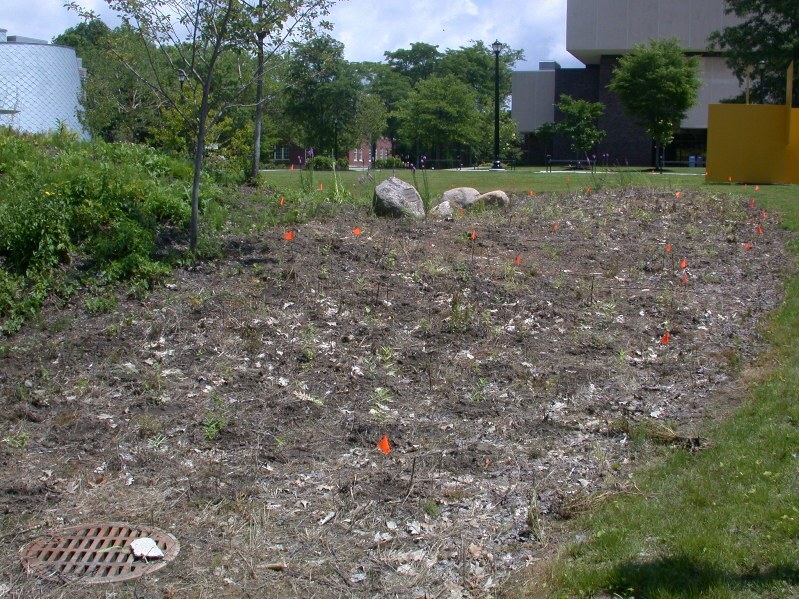 This is part of a much larger area that has proven to be a challenge in that the original installation was overrun by invasive weeds in the first growing season. 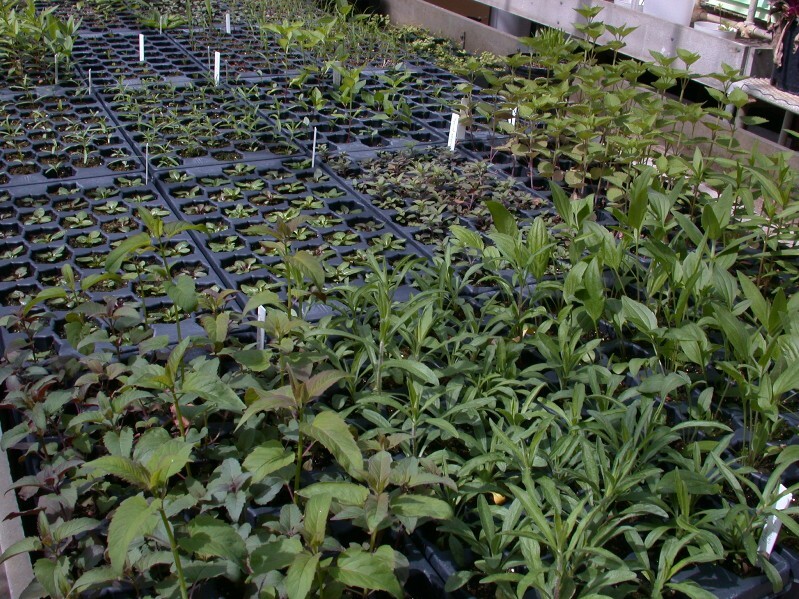 Plants were grown in 38 cell deep star plug trays in a greenhouse in 2015 from seeds collected locally and some donated by the Finger Lakes Native Plant Society. 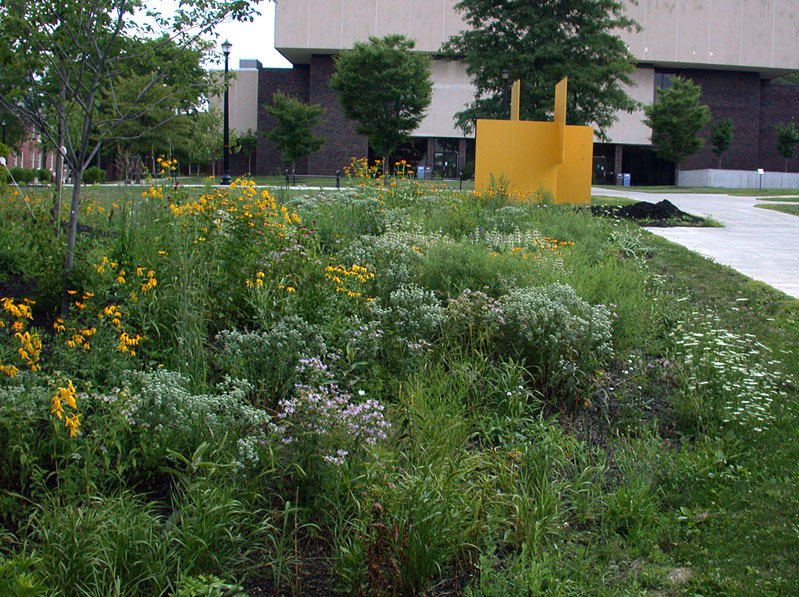 Species include Agastache foeniculum, Allium cernuum, Asclepias sullivantii, Asclepias incarnata, Asclepias speciosa, Andropogon gerardii, Aquilegia canadensis, Geum triflorum, Monarda fistulosa, Monarda puctata, Heliopsis helianthoides, Penstemon hirsutus, Penstemon digitalis, Symphyotrichum oblongifolium, Schizachyrium scoparium, Sisyrinchium angustifolium, Viola sororia, and Ratibida pinnata. 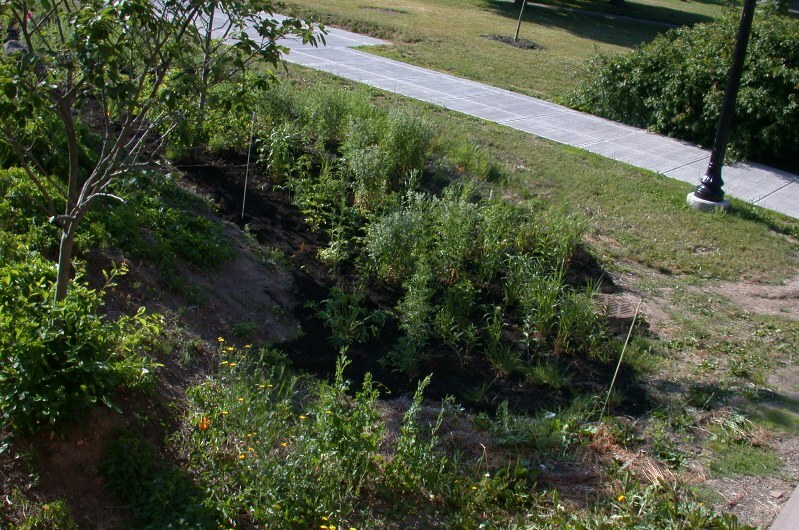 Most were about 4 months old at the time of planting though a few were added later. 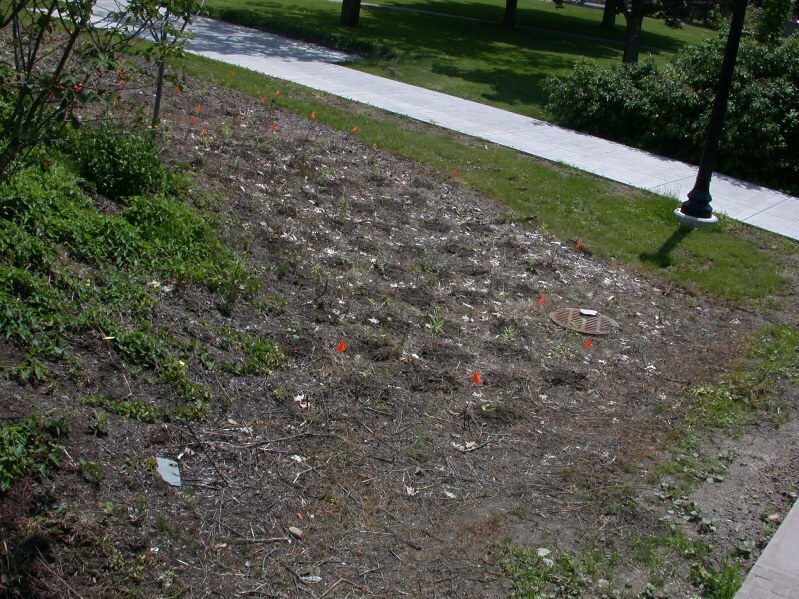 The site was sprayed with Roundup in June of 2015 and planted soon after. 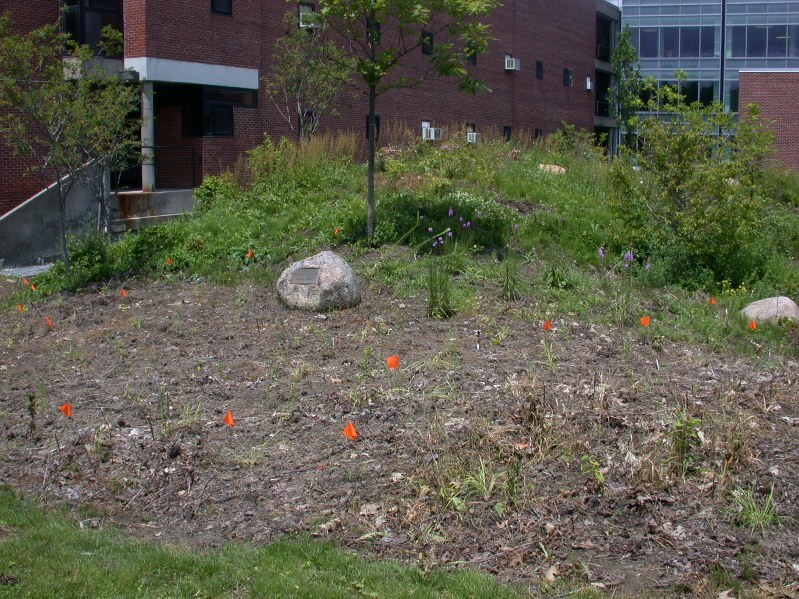 The after photos are from June of this year after hand weeding and mulching. 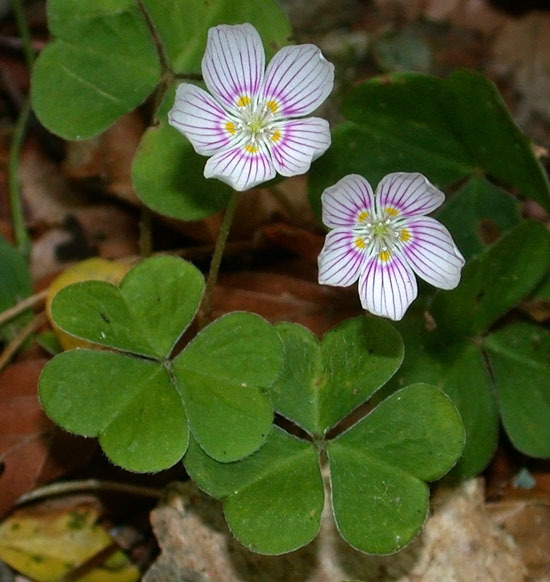 Mountain Woodsorrel (Oxalis montana) is now blooming in northern hardwood forests of Central NY. 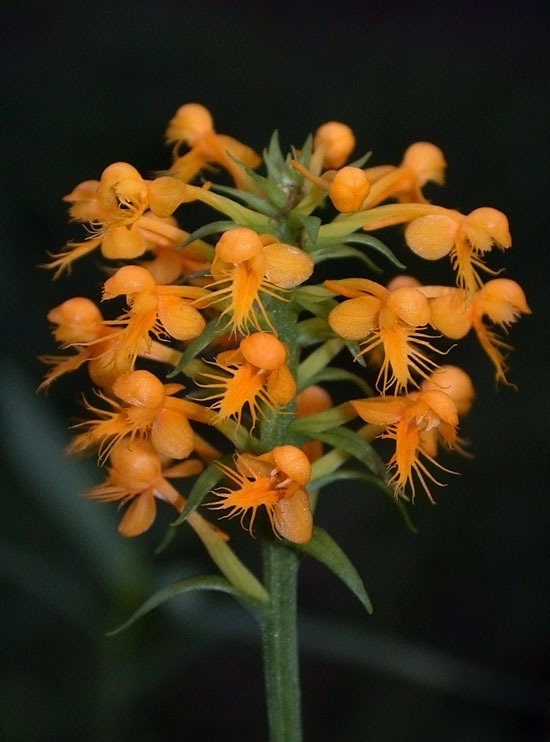 Colonies of this plant may not flower in a given year but they are very attractive when they do.